Thinning hair would be a minor disaster for most of us. Unfortunately, it’s a fairly common condition, even for women. But there are effective ways to slow down and reverse hair loss. Many people don’t know this, but hair can actually stop growing. But normally this is only about 10% of your hair at any one time. The other 90% is still getting longer. What about hereditary hair loss, like guys sometimes have? Women can inherit a condition called androgenetic alopecia. About 30 million Americans suffer from this. Most of them are 50 or older, but some are only teens. Research is showing that a 5% concentration solution of Minoxidil is more effective than 2%. Although to shows promise, keep in mind that clinical trials saw “moderate regrowth” in just 19% of the patients treated with it. No one had amazing success with it. What is the best way to grow more hair? Besides those treatments, you can take vitamins, use light therapy, apply other kinds of natural topical treatments, and treat any illness that might be causing your hair loss. Now let’s get into the best hair growth products, starting with vitamins that enhance healthy hair and skin. Sometimes a little extra vitamin in your diet can help make your hair grow faster, stronger, and longer. Folexin is a vitamin-packed formula designed to stop hair loss and speed up new hair growth. It contains biotin for healthy hair, nails, and skin, plus folic acid to regenerate dead follicles. Besides Vitamins A, B, C, D, E, and minerals like iron and magnesium, it has traditional herbal remedies for hair loss like horsetail extract and saw palmetto. 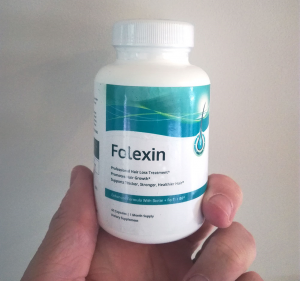 If you’re already taking a supplement, check that Folexin won’t overdose you because it’s powerful! The manufacturer is a company called Vita Balance Ltd, based in the UK and the USA. They explain that their formula is made to help people in the early stages of hair loss attain fuller, thicker hair without the major side effects suffered with other treatments. Customer comments have been encouraging so far, reporting that they see a noticeable positive difference in their hair. Biotin are B-complex vitamins. They boost your metabolisom and help your body produce keratin, which is essential for healthy skin and hair. They come with a 90-day money-back guarantee. If you aren’t satisfied with results, send them back for a refund. What do all these ingredients do? Biotin/B-complex vitamins help build healthy skin, nails, and hair. Combined with MSM, a kind of sulfur, it improves the production of keratin. Vitamin C stimulates collagen production to help connective tissues like cartilage in joints, and it helps hair follicles, too. Vitamin A works to keep skin healthy. Silica can make your hair stronger and longer. Zinc has an important role in many body functions including cell reproduction, vitamin absorption, and hormonal balance. With all these ingredients, it might be best to check with a health care professional to make sure that taking Hairomega won’t interfere with any other medicines or supplements you’re taking. Dr. Formulas recommends taking two tablets in the morning and two in the evening for best results. There are 120 in the bottle, so this ends up being a one-month supply. But if you’re not a fan of taking pills, there are other treatments you can try. One of them, light therapy, is proving to be quite successful. Studies are showing that certain light wavelengths in concentrated doses can encourage hair growth. Low-level light therapy makes skin and hair cells grow faster. It puts hair follicles into the anagen phase, or growth stage. The devices that do this use a wavelength of 630 to 670 nanometers. Clinical studies that show that low level light therapy helps both men and women regrow hair. It didn’t matter if the hair loss was from chemotherapy or alopecia. While you’re treating your scalp with light therapy, try washing your hair with an essential oil-based shampoo to maximize benefits. White willow bark and aloe sooth your scalp and fight inflammation. Rosemary increases blood flow. And Argan oil is full of omega-3 acids and Vitamin E for fuller, thicker hair. Art Naturals Argan Shampoo can be used every day on any kind of hair. Hair growth shampoo will wash away the day’s oil and debris, and it may get rid of that pesky hormone, DHT. But will it leave your hair silky smooth? Probably not, so use one of these hair growth conditioners afterward. 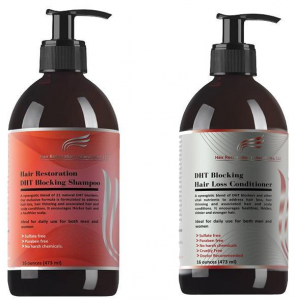 Even if you haven’t tried the shampoo from this company, you can use this DHT-Blocking Conditioner without it. You can also treat your hair with Minoxidil at the same time. The rich conditioner packs a punch with the combined power of caffeine, saw palmetto, cayenne fruit extract, cumin, silk amino acids, Argan, and rosemary leaf oil. With all those ingredients, the conditioner removes DHT from your scalp and nourishes your follicles. As a result, you’ll see thicker, healthier hair within three to five months when you use it daily. Just let it sit up to five minutes before you rinse it. The Argan Oil Conditioner from ArtNaturals amplifies the power of their shampoo to encourage new hair growth. Besides Argan oil, it contains fortifying and regenerative ingredients like aloe vera, green tea, Kukui seed oil, and algae extracts. This conditioner is practically guaranteed to restore shiny, thicker, and silkier hair to your head. It also heals your scalp and relieves itching and dryness. If you suffer from especially dry skin or hair, you might benefit from one of these hair growth oils. They encourage new hair and moisturize your scalp, too. Castor oil is a traditional remedy for hair loss. And for best results, use cold-pressed organic oil since it is the purest. It naturally fights fungus and inhibits bacteria, and it encourages hair growth. Apply a few drops to problem areas and massage it in before going to bed. Then wash it out in the morning. Or you can add castor oil to your favorite conditioner and enjoy the benefits all day long. Rosemary essential oil soothes dry skin while keeping the skin’s natural oil under control. It also stimulates hair follicles to produce new strands and encourages healthy blood circulation. Add rosemary oil to your conditioner or massage it into your scalp to reverse hair loss. As a side effect, rosemary also improves mental focus. Serums are a good solution if you don’t want to put oil on your scalp. The Grow Gorgeous Hair Density Serum is packaged in a bottle that lasts for about two months of daily use. Apply twenty drops to your head once a day and massage it until your skin absorbs it. It contains a seven-part formula that activates hair follicles to produce thicker and longer hair. It also moisturizes your scalp. The main ingredients include soy and wheat sprout extract, plus Chinese skullcap and hyaluronic acid. The Cherioll Hair Growth Serum relies on natural ingredients like ginseng, angelica, black sesame, and ginkgo to stop hair loss and encourage healthy, new locks. This serum is versatile because it works when you add it to your shampoo, or if you massage it into your scalp. Besides supplements, vitamins, special shampoos, and light therapy, you can also apply topical treatments to your scalp. Here is the one that comes most recommended. It can take up to 12 weeks to see a noticeable increase in hair growth. But don’t stop using the Rogaine when you see results if you want the growth to continue. You’ll need to keep on applying it once a day. If you have hair loss from childbirth or illness, Rogaine probably isn’t the answer for you. Vegans and vegetarians, look the other way for just a moment. We’re about to recommend something that contains an animal product because it’s one of the best solutions out there on the market. If tangles are a problem for you, this Detangling Brush from Crave Naturals will help stop the ouchies. It fits nicely in the palm of your hand and glides smoothly through your hair to release knots. Now you’ve seen it all. So which products do you choose? Here are our recommendations. As always, start as soon as you can to halt hair loss and grow your locks back. Take good care of your hair. Regular cuts can control split ends and encourage new growth. Plus, the right cut may help hide how thin your hair is. There’s nothing wrong with styling and color-treating your hair, just do it sparingly and use high-quality products instead of the cheap stuff that can fry your locks. Although wearing hats and caps may increase hair loss, we understand that it might be necessary sometimes. Choose comfortable headgear that isn’t too tight and breathes well. Besides the shampoos we listed above, there are several excellent organic shampoos on the market. Check out our top picks here. You can also learn more about light therapy to treat hair loss as well as skin problems like acne and see which devices are worth the investment.